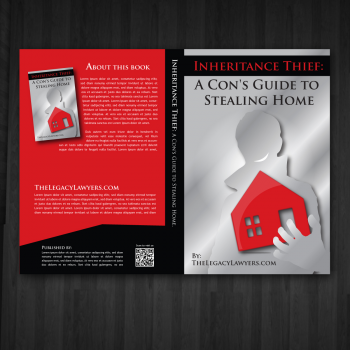 We are attorneys that provide estate, trust and conservatorship planning, administration and litigation services. 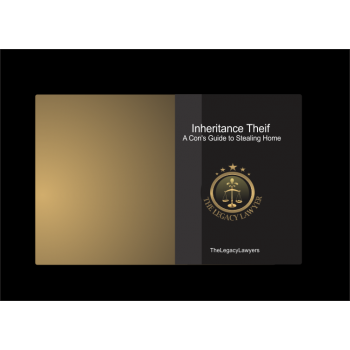 Our target audience are people of all walks of life about 55 years of age with a recently mentally incapicated or deceased parent. 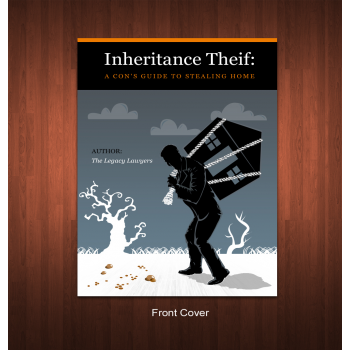 The book cover should convey a fear in viewers that they could lose all or part of their inheritance to anyone. 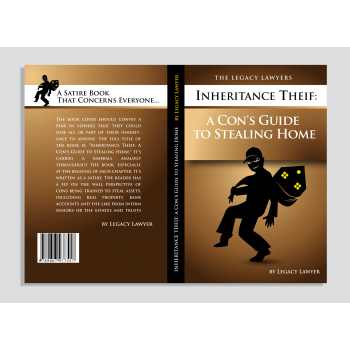 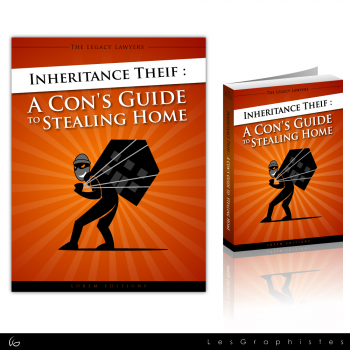 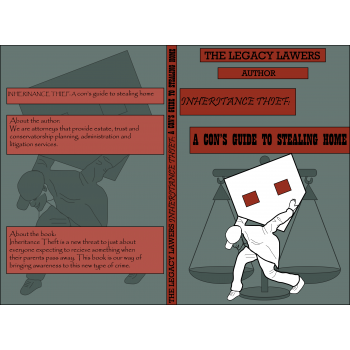 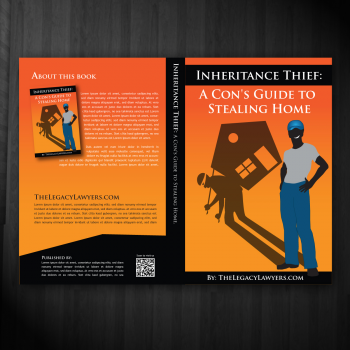 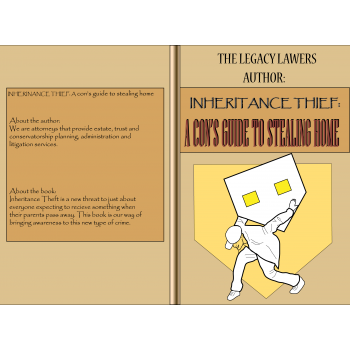 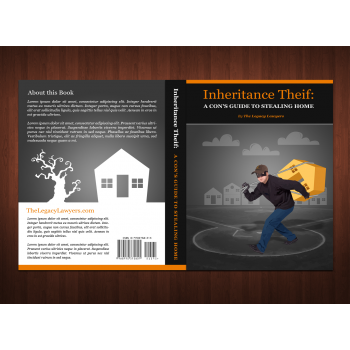 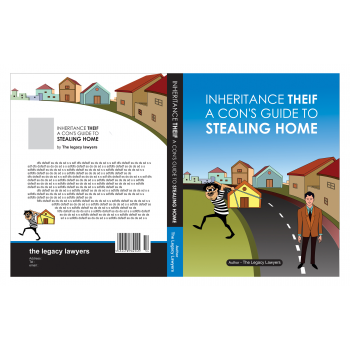 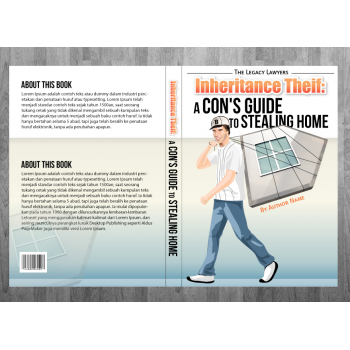 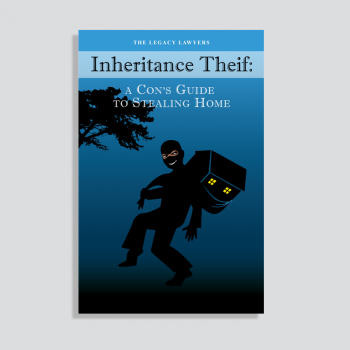 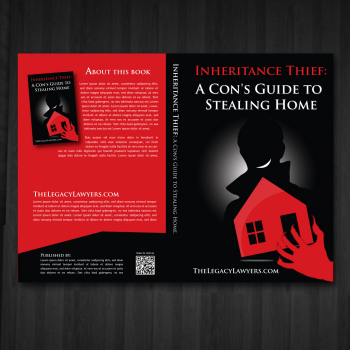 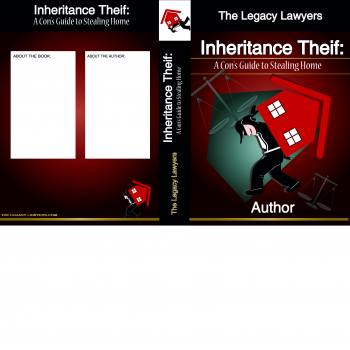 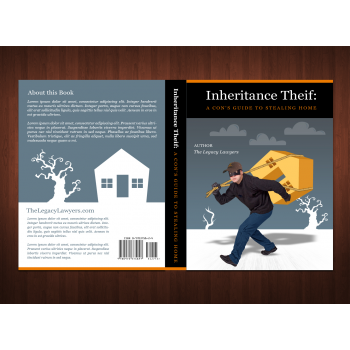 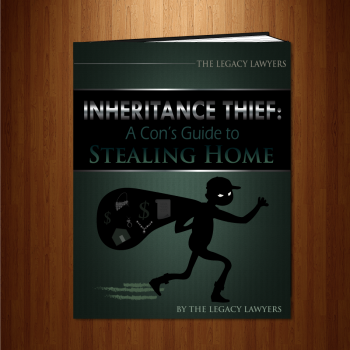 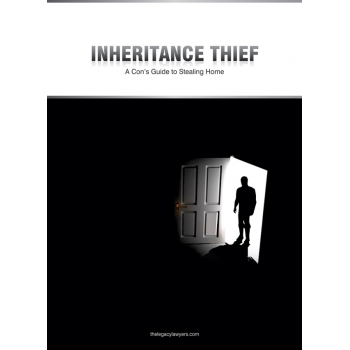 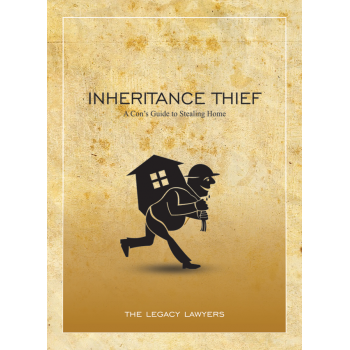 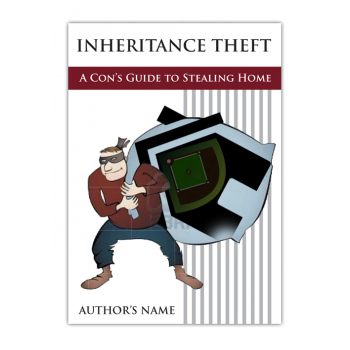 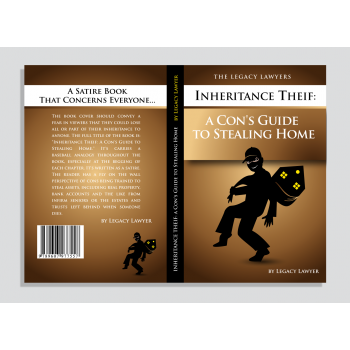 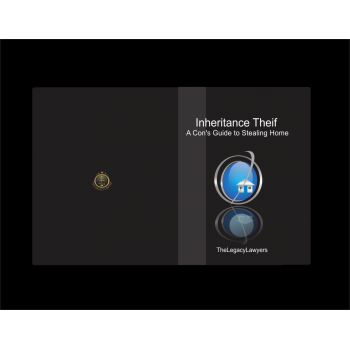 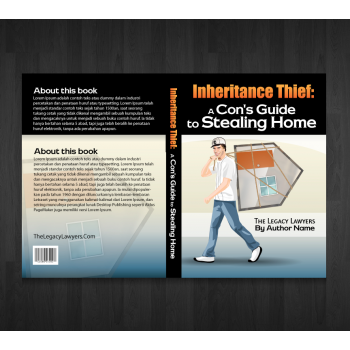 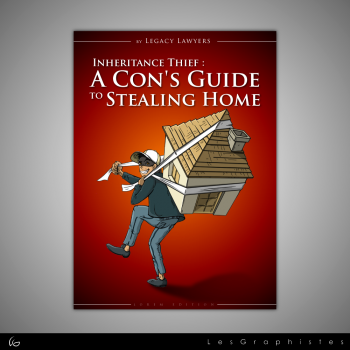 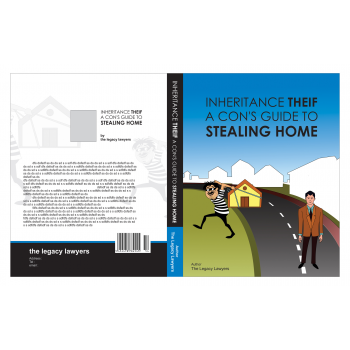 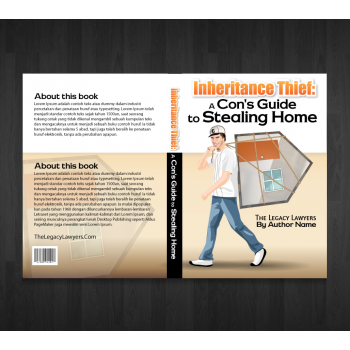 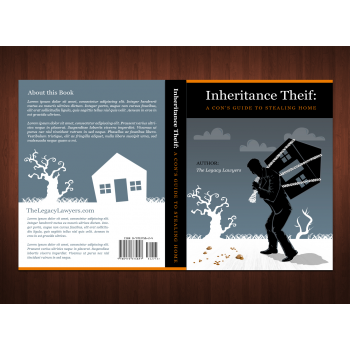 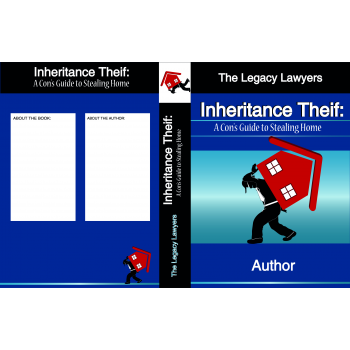 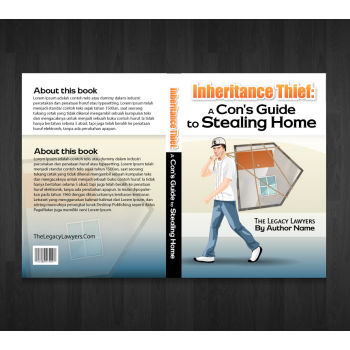 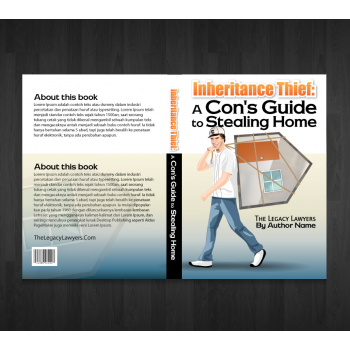 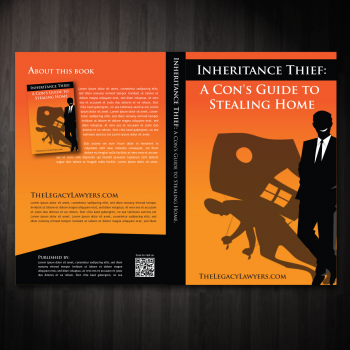 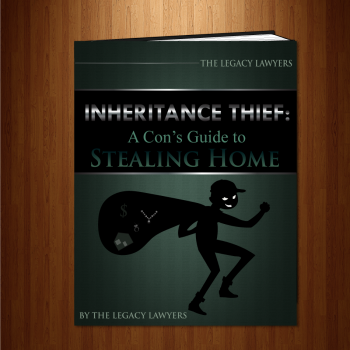 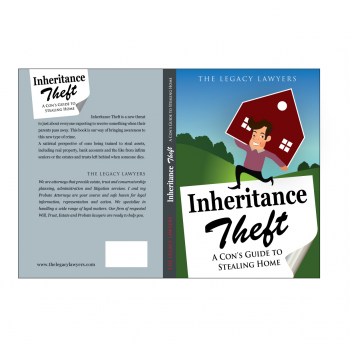 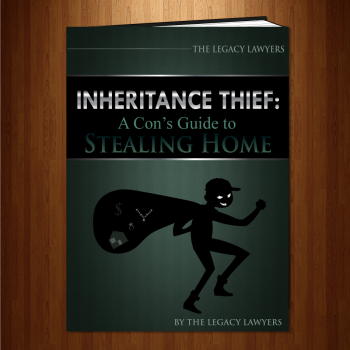 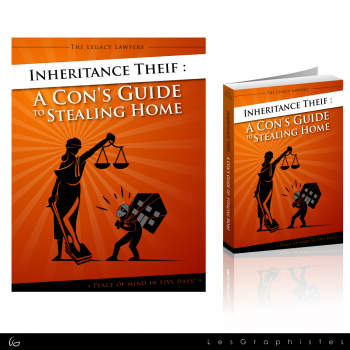 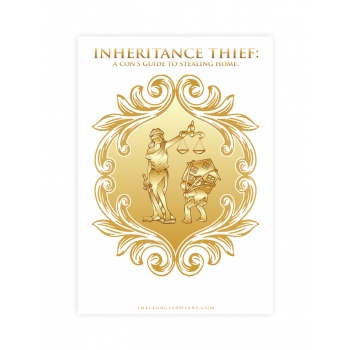 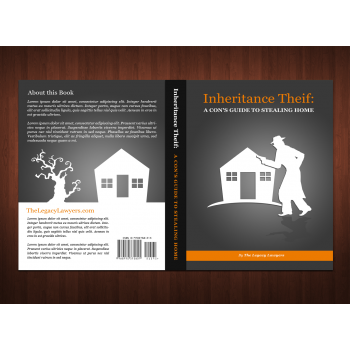 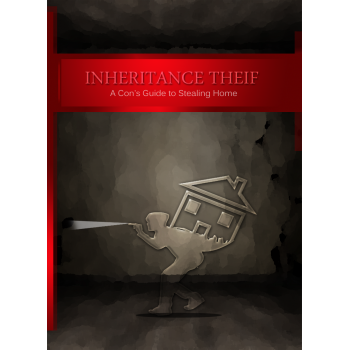 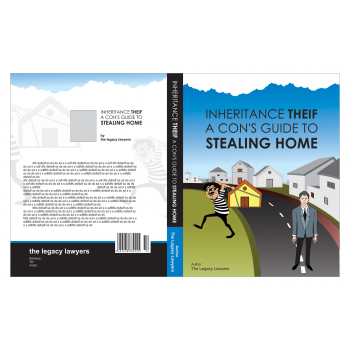 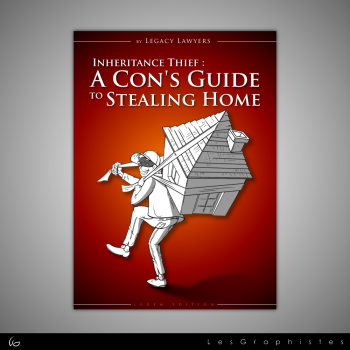 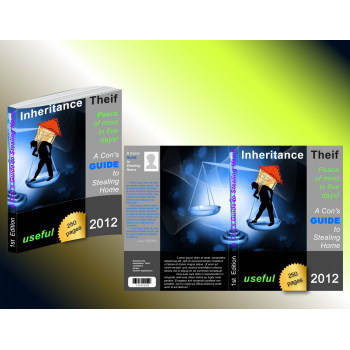 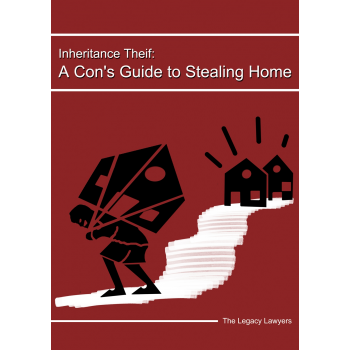 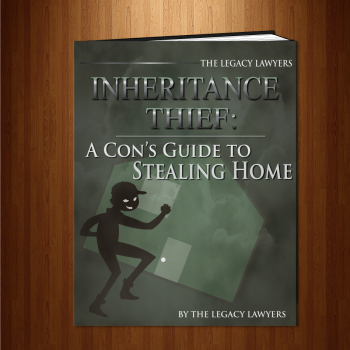 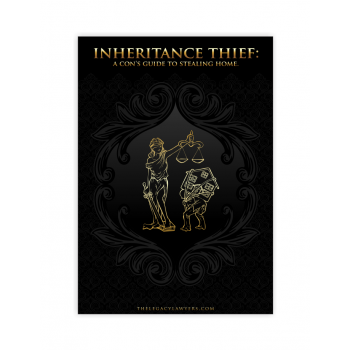 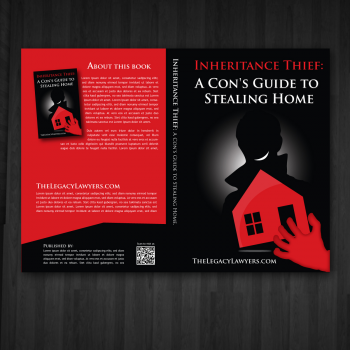 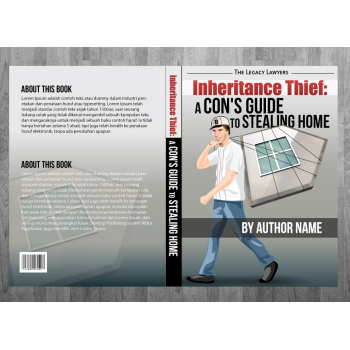 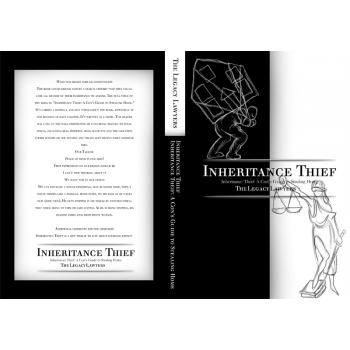 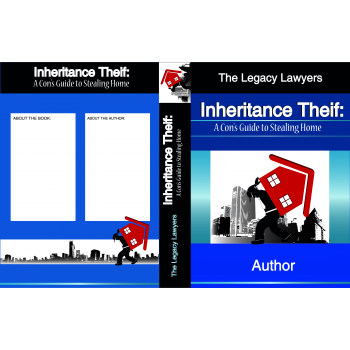 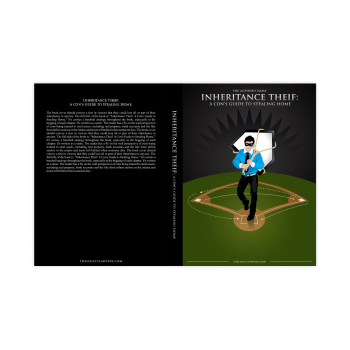 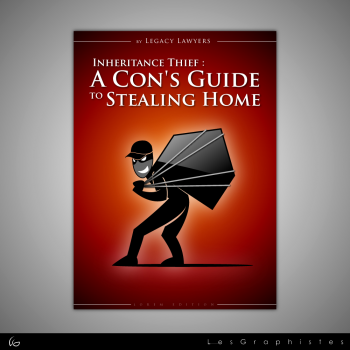 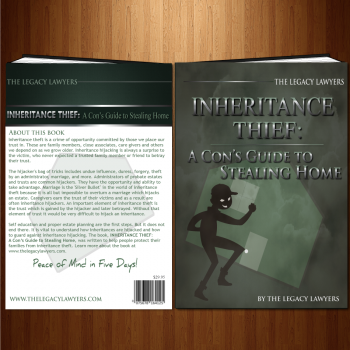 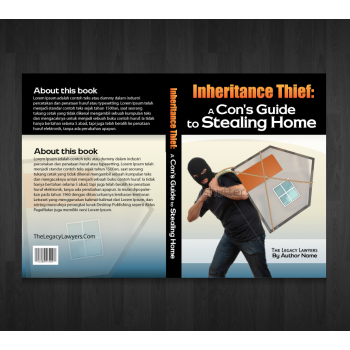 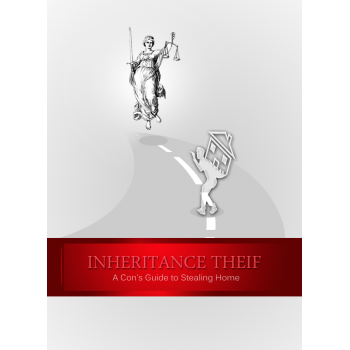 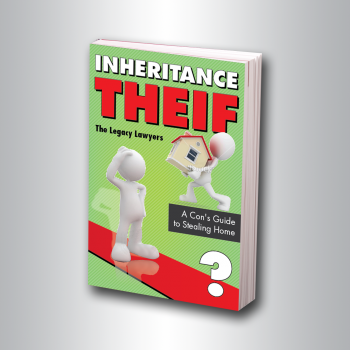 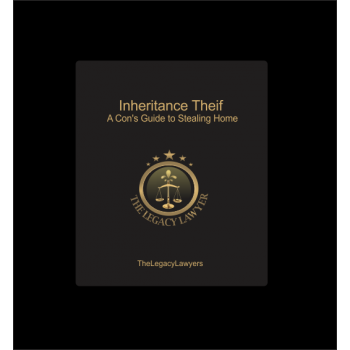 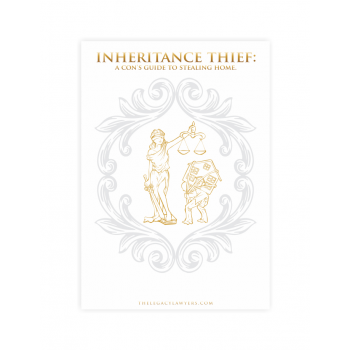 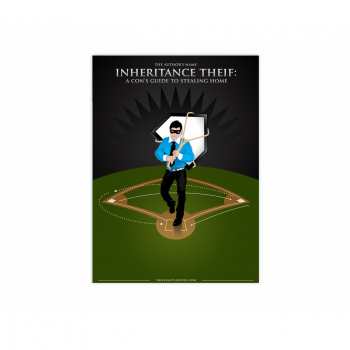 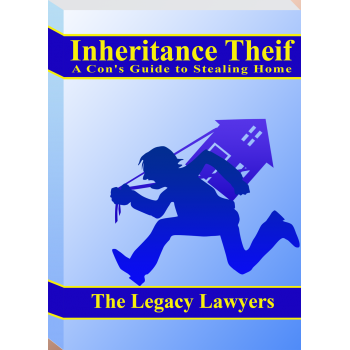 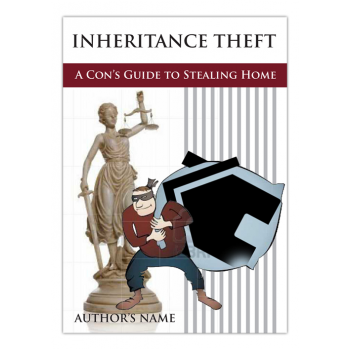 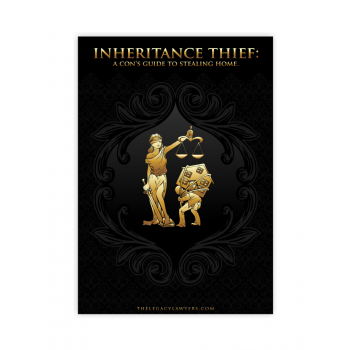 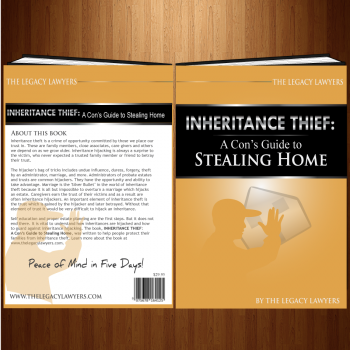 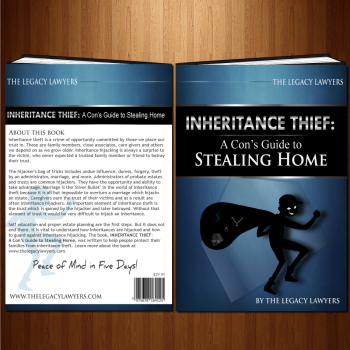 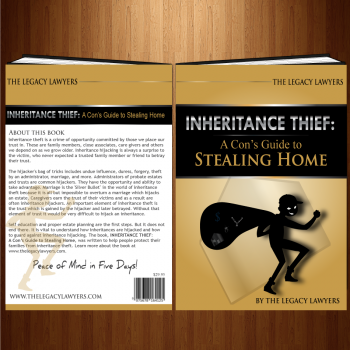 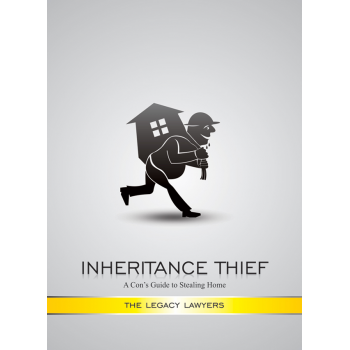 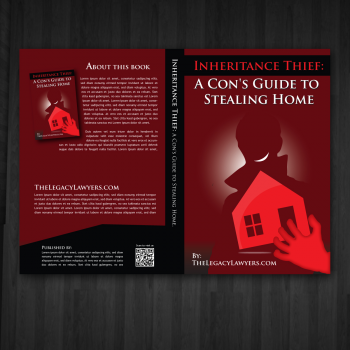 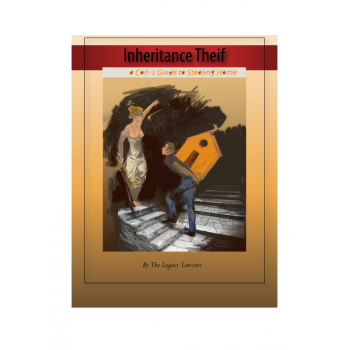 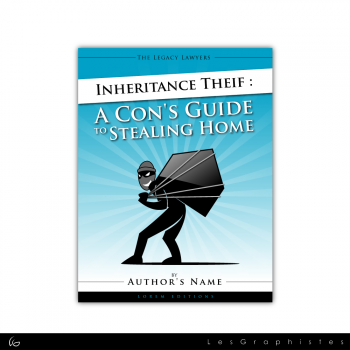 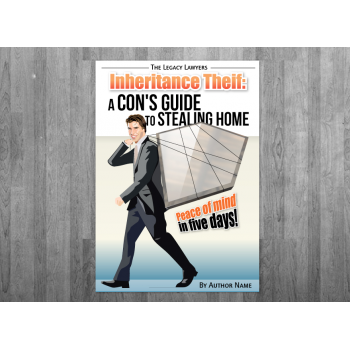 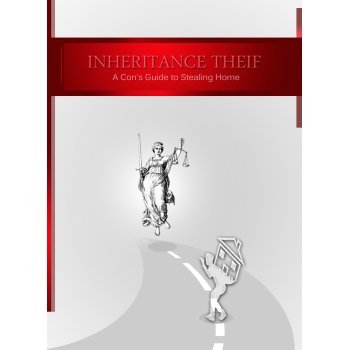 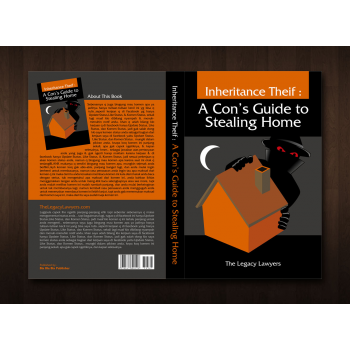 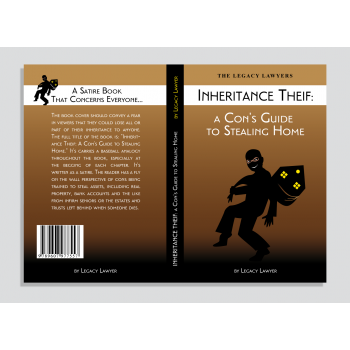 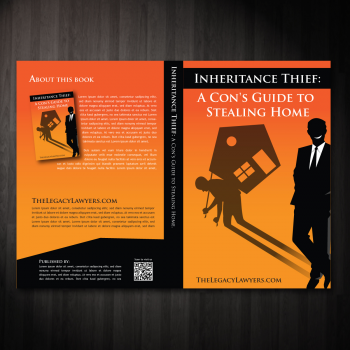 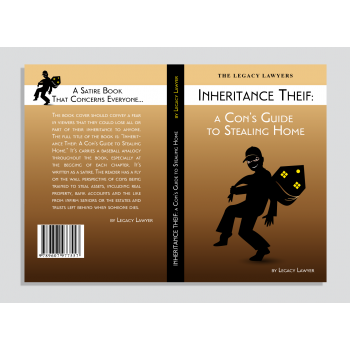 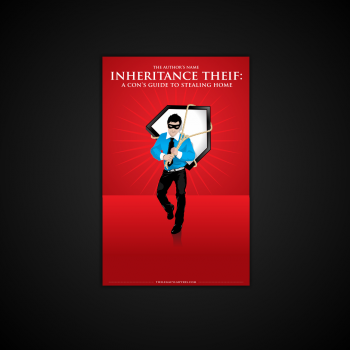 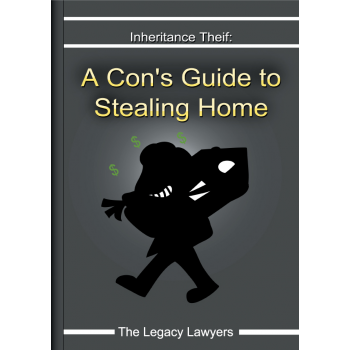 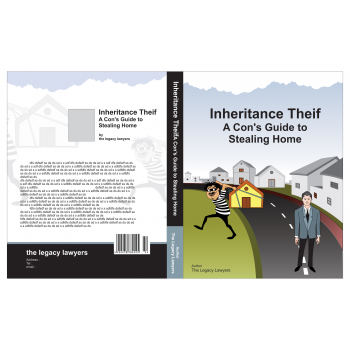 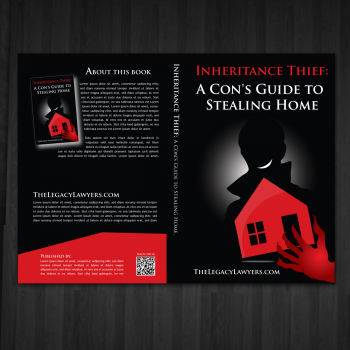 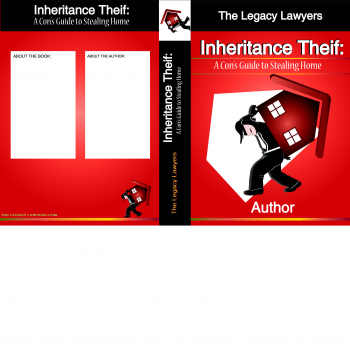 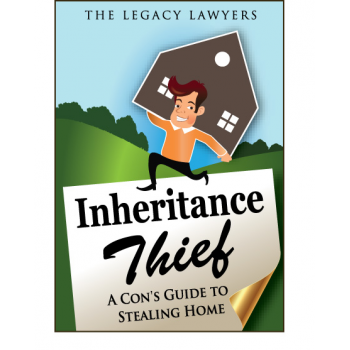 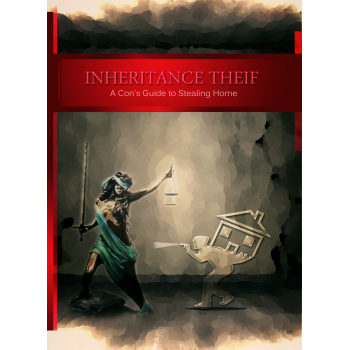 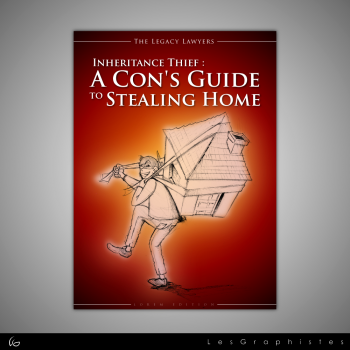 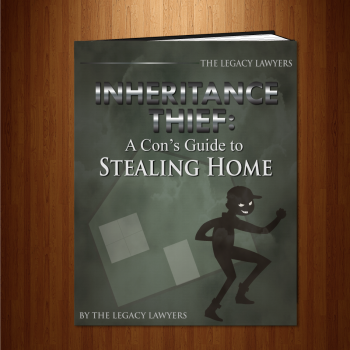 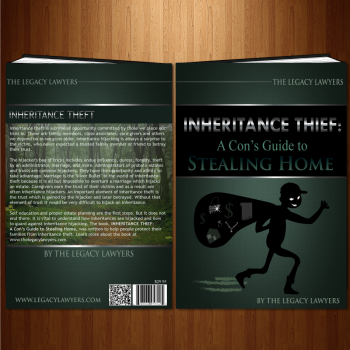 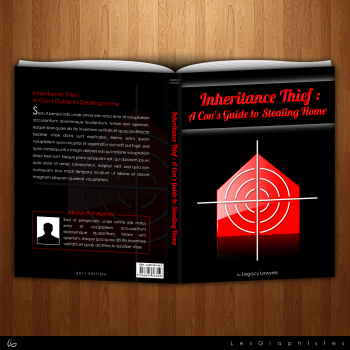 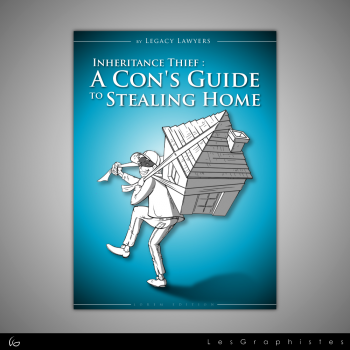 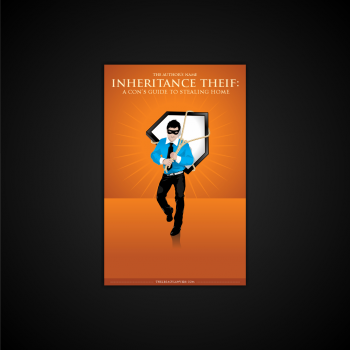 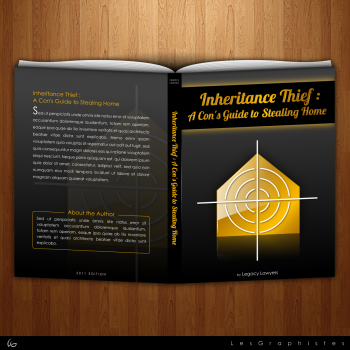 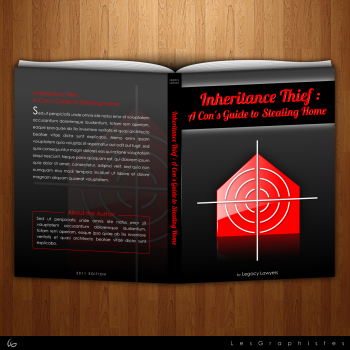 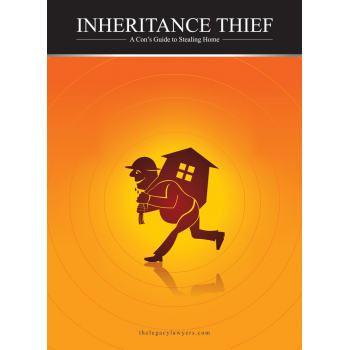 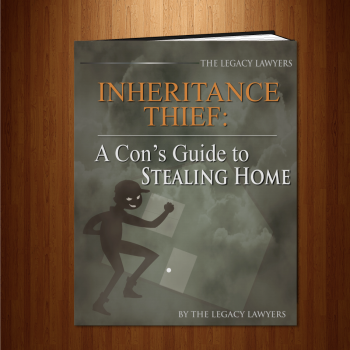 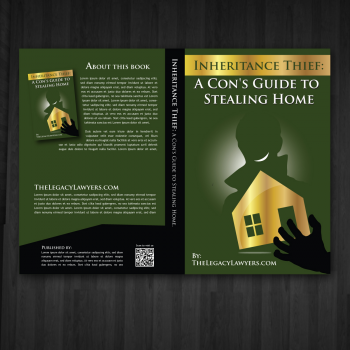 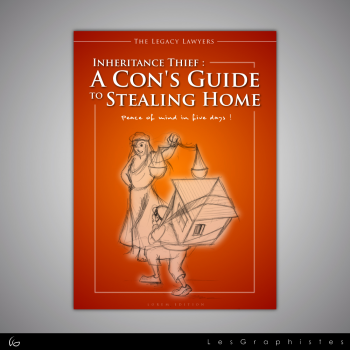 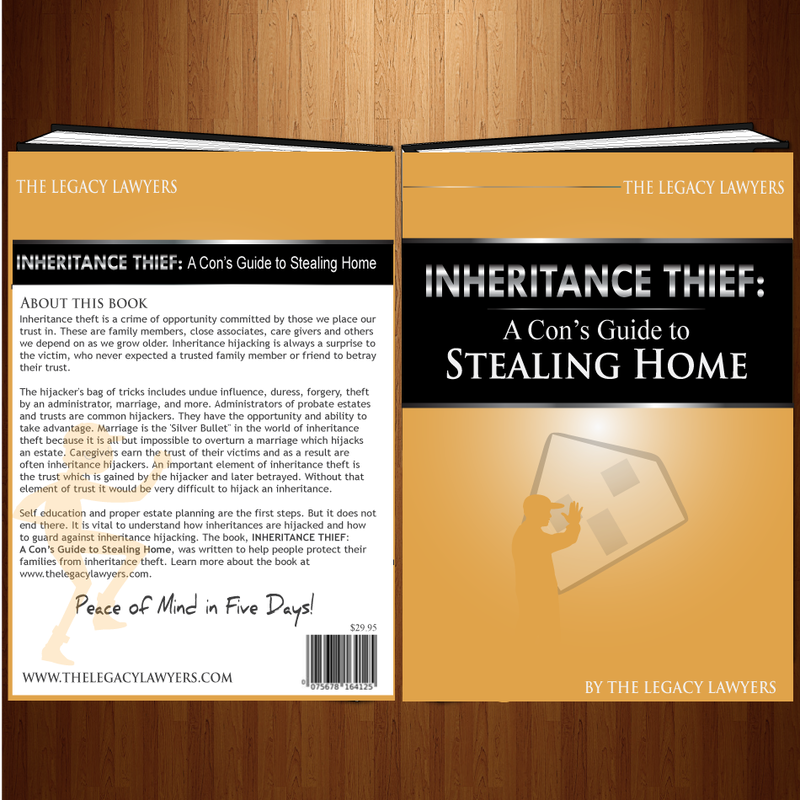 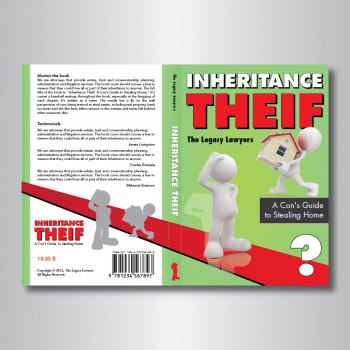 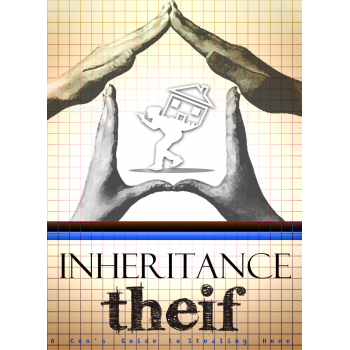 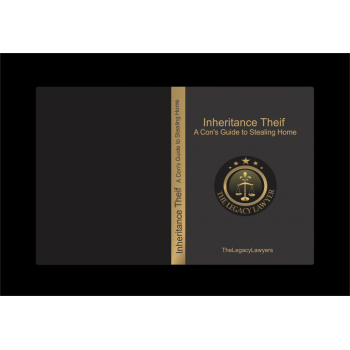 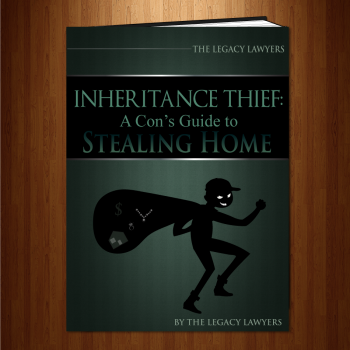 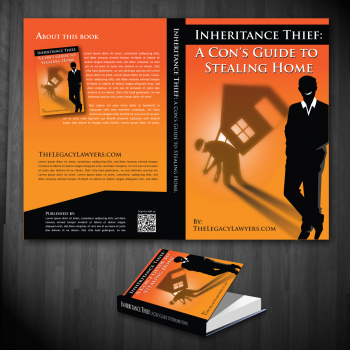 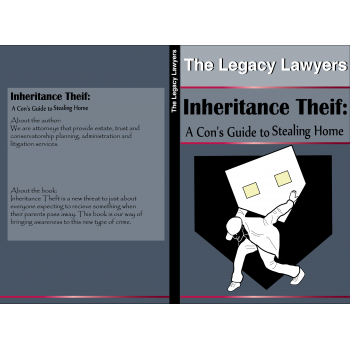 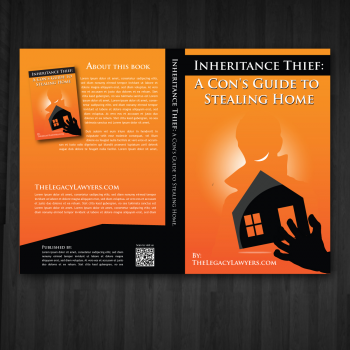 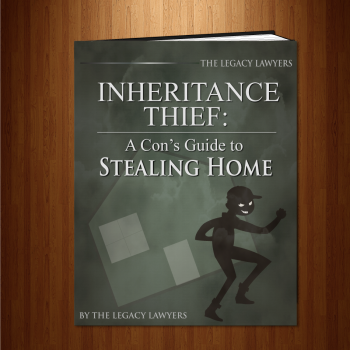 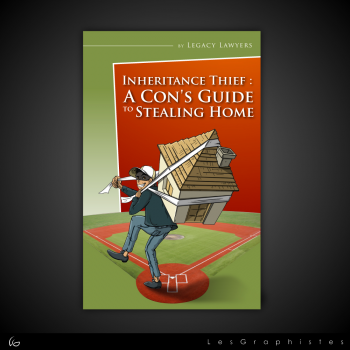 The full title of the book is: "Inheritance Theif: A Con's Guide to Stealing Home." 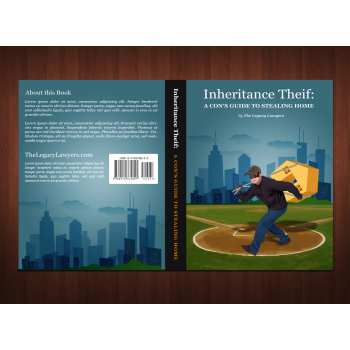 It's carries a baseball analogy throughout the book, especially at the begging of each chapter. 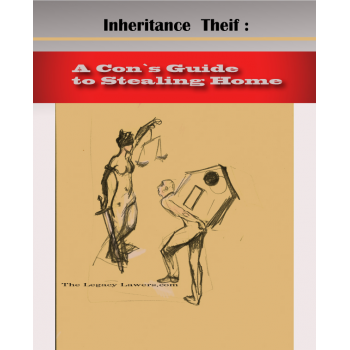 It's written as a satire. 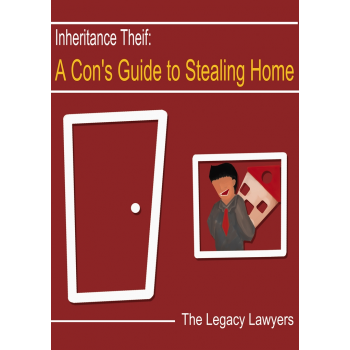 The reader has a fly on the wall perspective of cons being trained to steal assets, including real property, bank accounts and the like from infirm seniors or the estates and trusts left behind when someone dies. 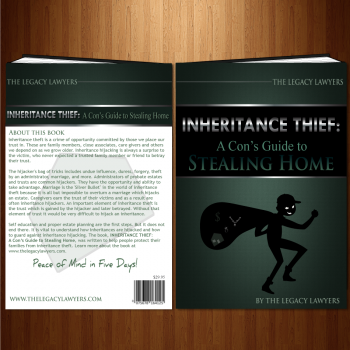 Peace of mind in five days! 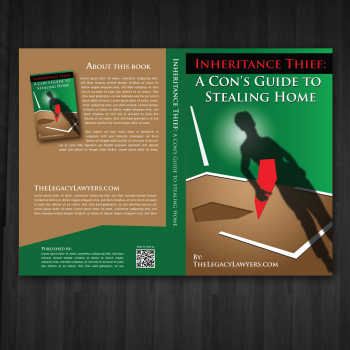 We can visualize a single dimesional man hunched over, with a house shaped like a baseball home plate, on his back as he walks away (side view). 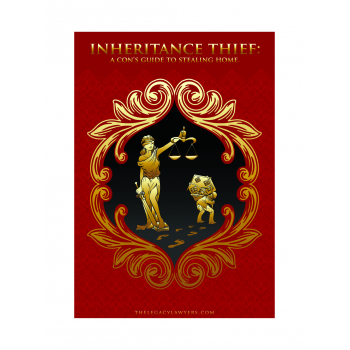 He gets stopped in his tracks by another force, that force being my firm or lady justice. 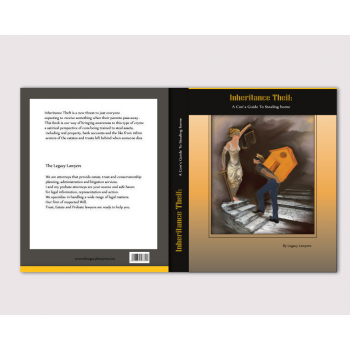 As he is being stopped, his imagine fades away from front to back. 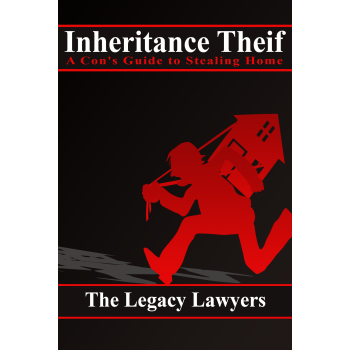 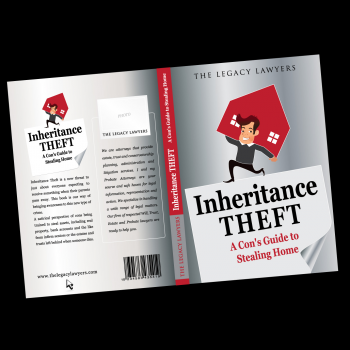 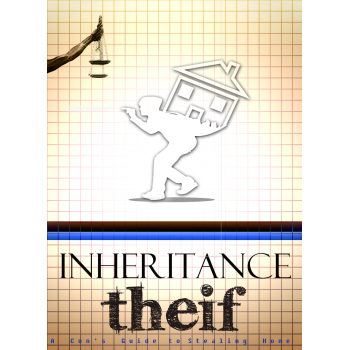 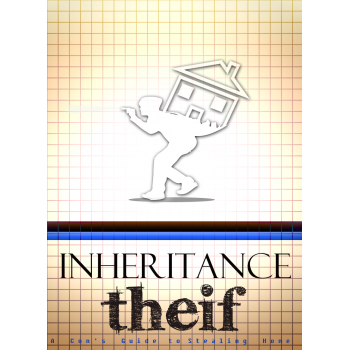 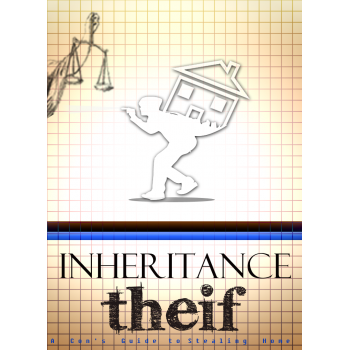 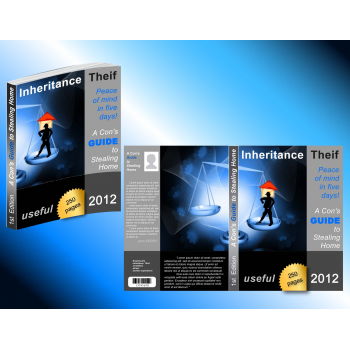 Inheritance Theft is a new threat to just about everyone expecting to recieve something when their parents pass away. 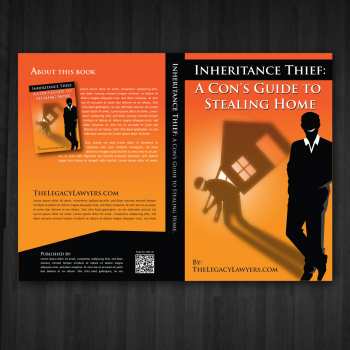 This book is our way of bringing awareness to this new type of crime. Want a unique book cover design like this one? 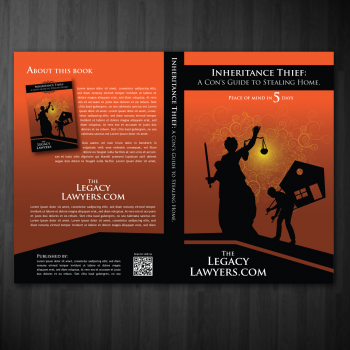 Get Your Perfect Book Cover Now!